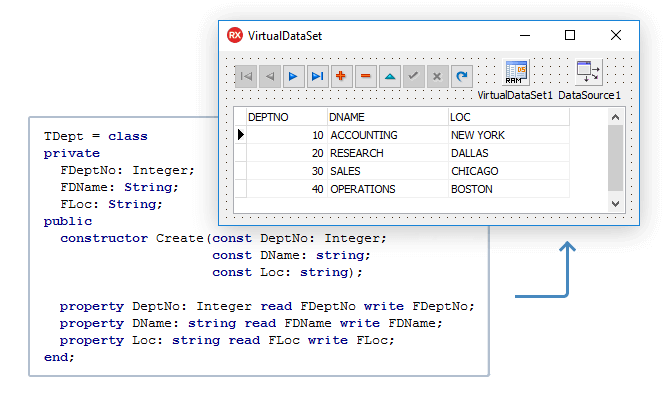 Virtual Data Access Components (VirtualDAC, formerly known as VirtualTable), is a library of components that extends data processing capabilities in Delphi and C++Builder including Community Edition on Windows, Linux, macOS, iOS and Android for both 32-bit and 64-bit platforms. 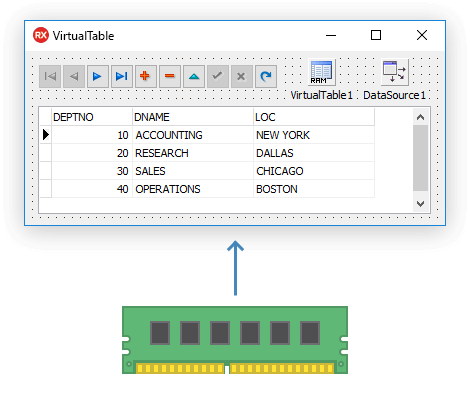 VirtualDAC consists of components that allow creating in-memory data storage and executing complex SQL queries to in-memory tables when developing Delphi applications. The TVirtualQuery component is used to retrieve data with SQL queries from sources that are any TDataSet descendants. Due to this, you can build complex SQL queries to Delphi in-memory data (data sources are TVirtualTable, TVirtualDataSet or another TVirtualQuery) or to data stored in different RDBMS'es (data sources can be TUniQuery, TOraQuery, TMSQuery, TMyQuery, etc. at the same time). The TVirtualTable component represents an in-memory data storage that does not have linked data files. TVirtualTable allows to load data from a XML or CSV file, or from an existing dataset, and then wraps the data in the usual way, as in any TDataSet descendant. We offer various design-time editors that provide convenient interface and rich facilities for both creating TVirtualTable fields and filling them with data in design-time that can be saved in dfm or a file afterwards. Development for iOS and Android mobile devices using VirtualDAC becomes still easier, as VirtualDAC allows your mobile applications to work with multiple databases as simply as desktop applications do. Our product is compatible with the latest IDE versions and editions including Community Edition: Embarcadero RAD Studio 10.3 Rio, Delphi 10.3 Rio, C++Builder 10.3 Rio. It is also compatible with the previous IDE versions since Delphi 6 and C++Builder 6. 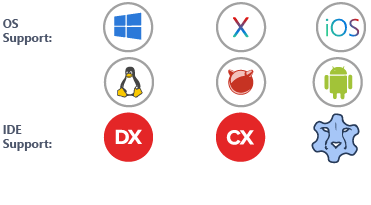 Now you can develop not only VCL-based applications in Delphi and LCL-based ones in Lazarus, but also use the newest FMX application development platform.